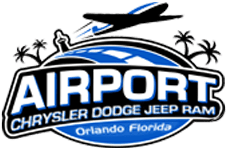 Orlando, FL area drivers and families in search of an affordable and feature-rich crossover SUV should turn their attention to the 2019 Dodge Journey, now available at Airport CDJR. This sleek crossover vehicle boasts a highly competitive price tag for its class and comes packed with safety and comfort amenities that will leave you yearning for your next road trip. With three rows of seating for up to seven occupants, high-tech cabin amenities, available V6 performance and a mid-sized exterior, the 2019 Journey makes for the ideal family cruiser around Orlando and well beyond! Our new and used dealership in Orlando, Florida has an extensive new and pre-owned Dodge inventory to explore, so if you're looking for a stylish mode of transportation that doesn't sacrifice safety or value, then explore our new Dodge Journey crossovers for sale today! Our friendly team of Dodge sales specialists encourages you to make the short trip over from nearby Kissimmee or Winter Park, FL to our location for a hands-on experience of all the 2019 Journey offers. While you're at Airport CDJR, drop by our finance department to learn about the different auto loan options that are available to you and your unique credit situation! Looking for a sleek crossover that satisfies your active lifestyle with plenty of power and capability? Then snag a 2019 Dodge Journey from Airport CDJR, where you can cruise with a standard 2.4-liter engine that boasts dual Variable Valve Timing. If you're looking to up your power game, then see the Journey's available 3.6-liter Pentastar® V6 engine, mated to a six-speed automatic transmission, for impressive hauling and towing capabilities. The 2019 Journey's MacPherson front struts and the multilink rear suspension provide a comfortable ride no matter the terrain, while the Electronic Stability Control and Electronic Roll Mitigation ensure your new ride stays where you point it! Your safety is important while on the road, and if you buy or lease a new Dodge Journey, you can rest assured your needs are being provided for! Our professional sales team is well-versed in all the safety features that come standard on the 2019 Journey trim level you're shopping, as well as the options available, so don't hesitate to contact us about your ideal new crossover and the safety features that matter most to you and your family. Head over to Airport CDJR today to learn all about the impressive technological advancements that are available on the 2019 Dodge Journey. Our team will review the available Uconnect 8.4 NAV system that boasts an 8.4-inch touchscreen as well as turn-by-turn navigation. Dodge even offers a rear seat entertainment option for the 2019 Journey that lets your backseat passengers enjoy shows and movies while on the go! Visit our Orlando, Florida location to learn more about the available second-row 9-inch screen for watching movies and playing video games, as well as the available Wi-Fi hotspot feature that keeps all occupants connected. 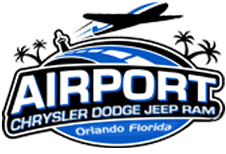 Airport CDJR is eager to welcome you over to our Orlando, Florida dealership near Winter Park so that we can introduce you to the 2019 Dodge Journey crossover that will have you driving confidently for many years to come. Visit us today or shop our affordable selections online now, and remember that our on-site service center is here for any oil changes and tire maintenance down the road!